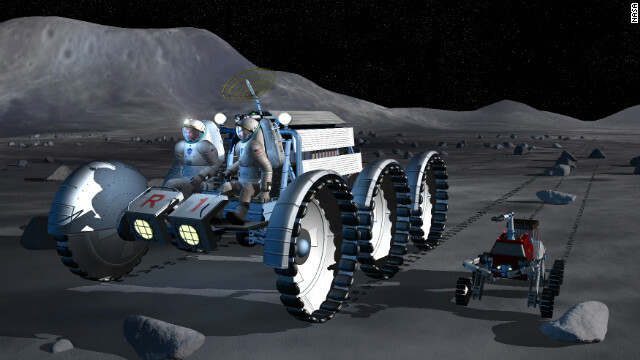 In this NASA artist's concept, astronauts ride a moon rover accompanied by a robot work assistant. (CNN) - Lost in the laughter over the past two weeks has been GOP presidential candidate and former House Speaker Newt Gingrich's core point about America's future in space. We shouldn't just explore space, we should develop and even settle it, using the same enterprise-friendly approaches that helped open the West and the skies. If it ever happens Newt wont be around to help settle anything.